AUBURN, Calif., June 21, 2018 /PRNewswire/ -- Flyers Energy, LLC (http://www.flyersenergy.com/) has completed acquisition of the Quick Fuel automated fueling network from Milwaukee-based Jacobus Energy for an undisclosed price. With the addition of these 49 Quick Fuel sites, the total number of Flyers fueling locations now stands at more than 300. The new Flyers sites comprise a network of automated fueling stations in 15 states. Located along major trucking routes throughout the Midwest and southern United States, the network has concentrations around Milwaukee, Atlanta, Dallas, and central Florida. Flyers has hired existing Quick Fuel staff members to continue their work and plans to keep the Quick Fuel name. "The customer experience won't change. 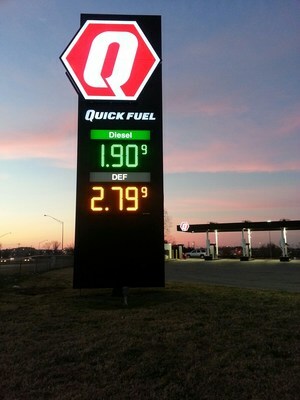 Quick Fuel has a strong regional brand identity and we have plans to expand throughout the country with more automated fueling sites," said Flyers COO, Ken Dwelle. Flyers has grown their reach through fuel and lubricant company acquisitions over the last two decades. Managing Partner, Walt Dwelle added, "Our vision for commercial fueling growth was to own or control sites from coast to coast." 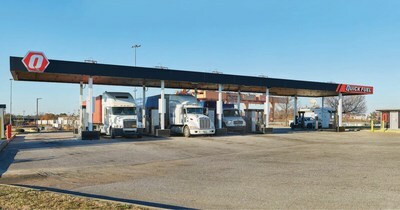 The newly acquired fueling locations are in Wisconsin, Minnesota, Michigan, Illinois, Indiana, Georgia, Florida, Texas, Iowa, Kansas, Tennessee, North Carolina, Kentucky, Missouri and Ohio. Jacobus Energy retained their delivered fuels and heating and cooling services divisions. Flyers Energy, LLC operations include transportation, commercial fueling on the CFN, Voyager, and Pacific Pride networks, distribution of MobilTM brand passenger car, heavy duty, and industrial lubricants, supply of wholesale and branded fuel, and generation of renewable fuels and power in the United States. Flyers is a marketer for Chevron, Shell, Valero, and 76 branded fuel stations and is the largest participant on the Commercial Fueling Network (CFN).